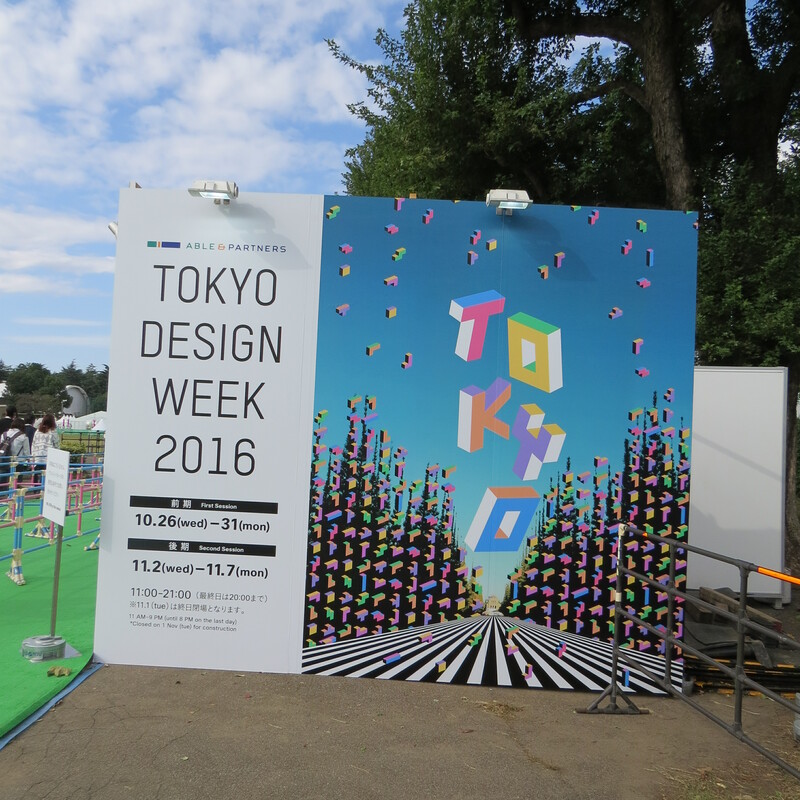 One of the highlights of this autumn’s Tokyo trip was the visit to Tokyo Design Week 2016. 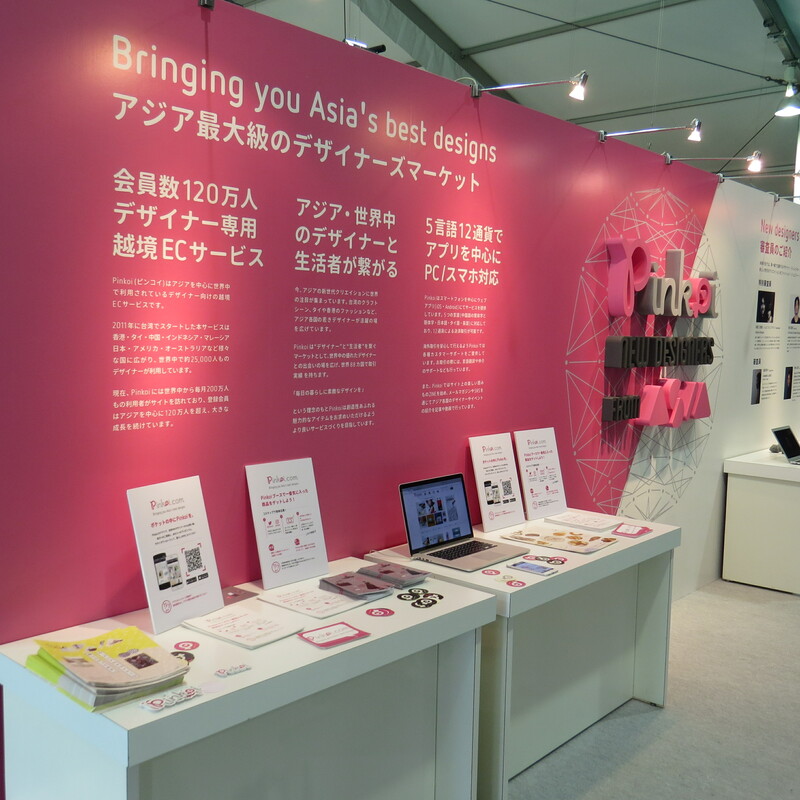 TDW is one of the biggest and most important design shows in Asia; it takes place each year in Tokyo’s Meiji Jingu-mae park in late October (this year, TDW took place from 26th October to 7th November) and it is – quite simply – fabulous. 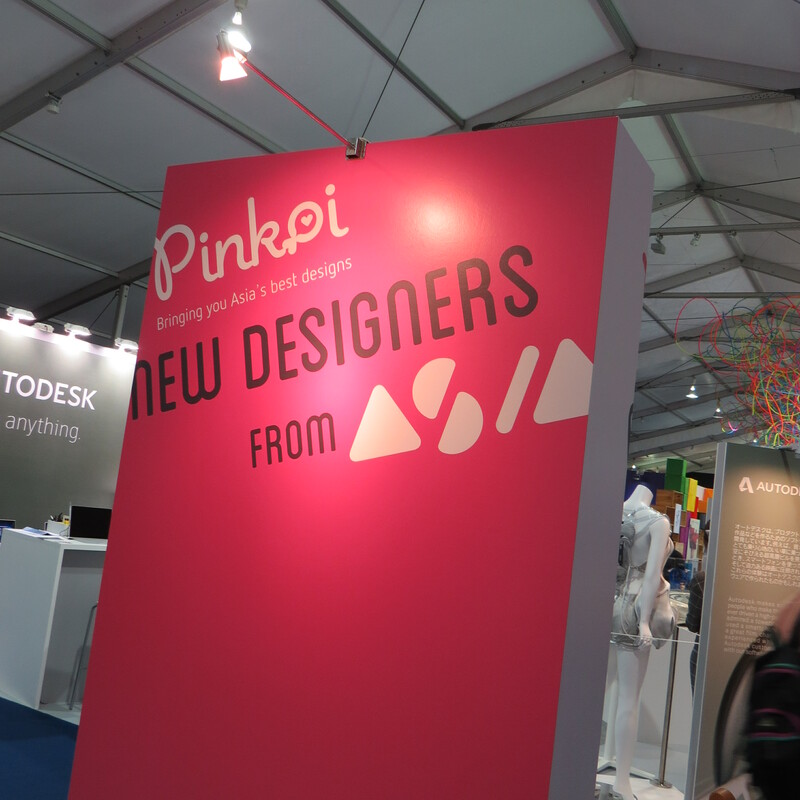 Product design, robotics, arts and crafts, architecture, interior design, intelligent fabrics – off-beat, ingenious, weird, innovative logical and sometimes completely bizarre design ideas; from young creators and world-famous designers and architects, design school graduates from across Asia; big international exhibitors and niche companies. It makes the brain sparkle. 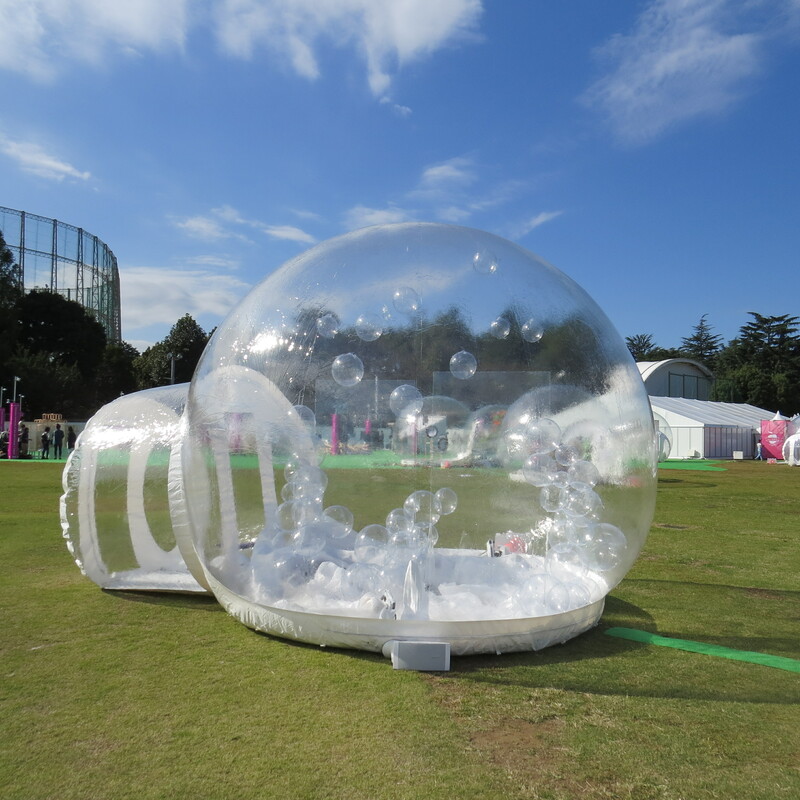 This was my third visit to TDW (here are my show reviews of TDW 2014 and TDW 2015) and in 2016, my personal favourites included a pair of robot carp, a stylish boutique skin care brand from Taiwan, an Ukiyo-e juke box and two dozen juice mixers that played “Twinkle Twinkle Little Star” with different sounds. 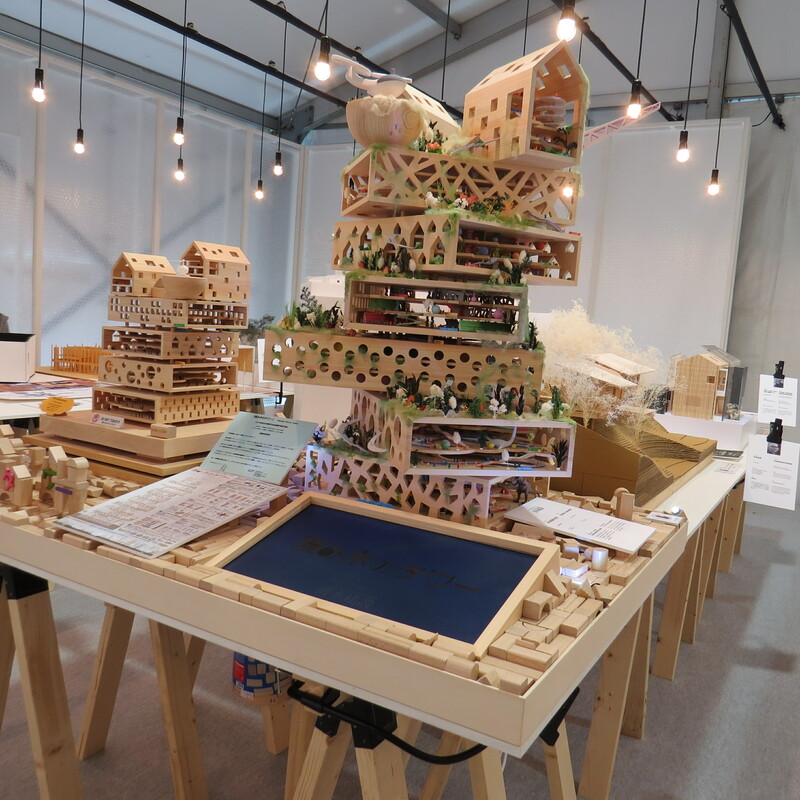 Click on the link for more pics of my favourite TDW 2016 exhibits! 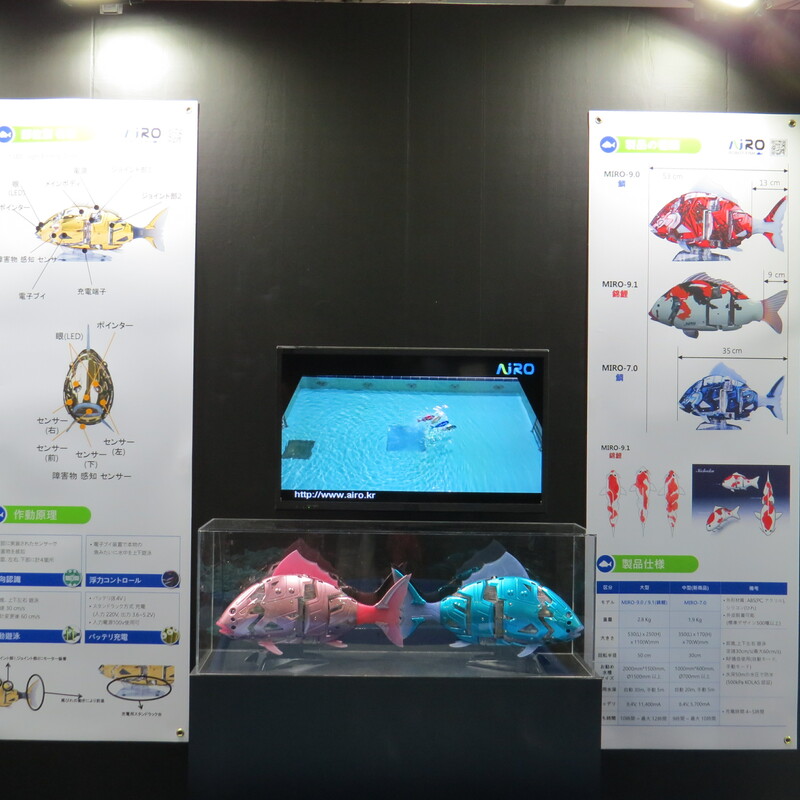 Like always, TDW had different sections: several core exhibition formats (like 100 Creators, Super Robot, Architectural Models and Professional) returned in 2016, others appeared for the first time this year. 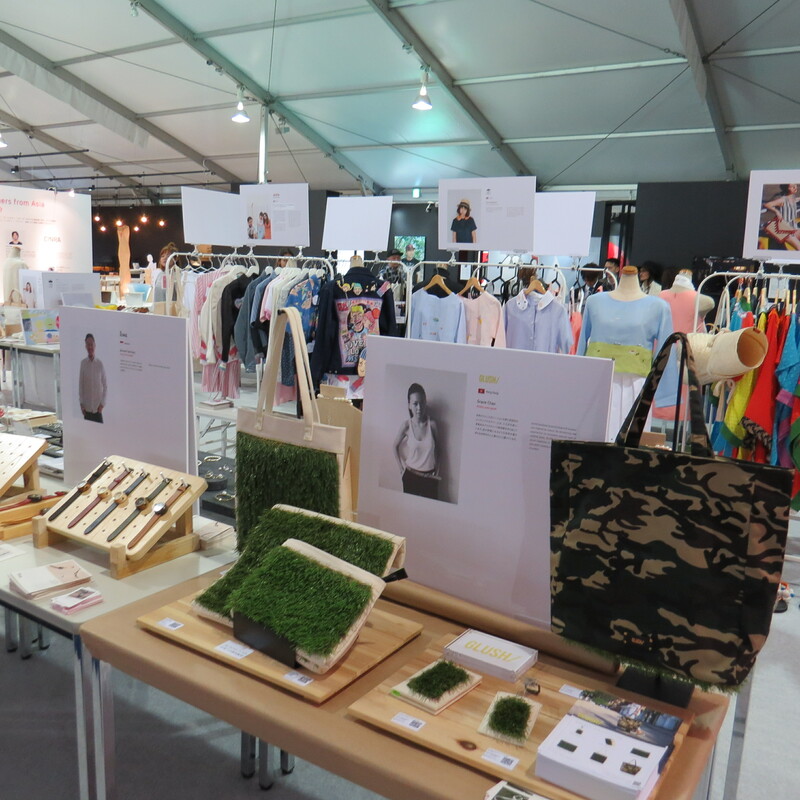 Here is a brief overview of what took place where: The main exhibition tent (starting at the main tent entrance) featured the 100 Creators Exhibition, Debut Exhibition and Match-up Exhibition (young designers and new labels), followed by the 7th Able Space Design Competition (interior space/living space design), the Creative Life Exhibition and Interactive Exhibition. The Super Robot Exhibition (so cool!!! 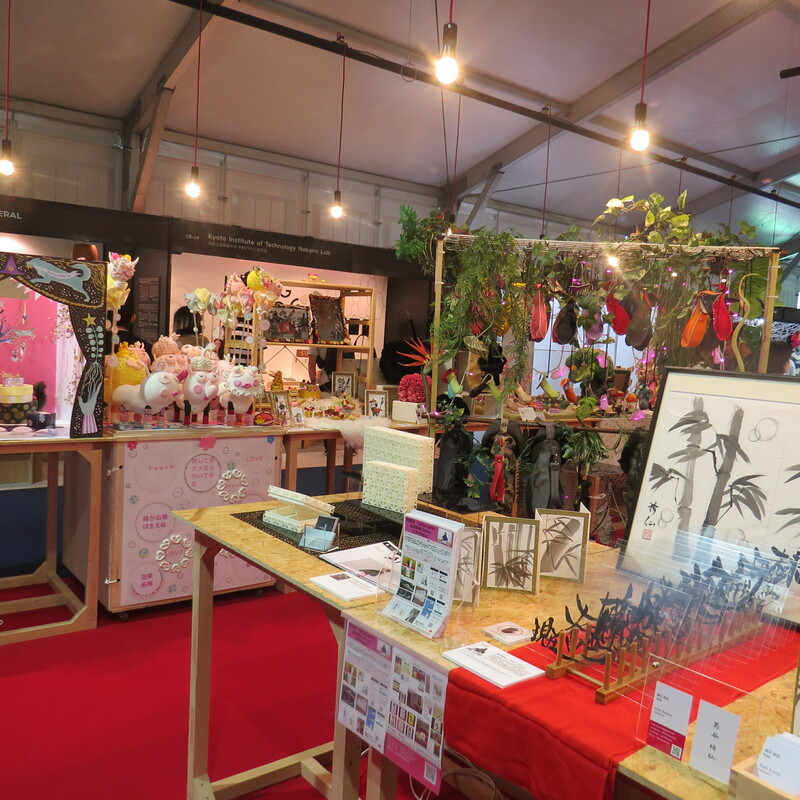 ), the Sharaku Inspired Exhibition, Regional Revitalization Exhibition (four new member prefectures in the World Design Week association) were located in the middle of the tent, followed by the Architectural Models Exhibition and the Professional Exhibition towards the end of the main tent. 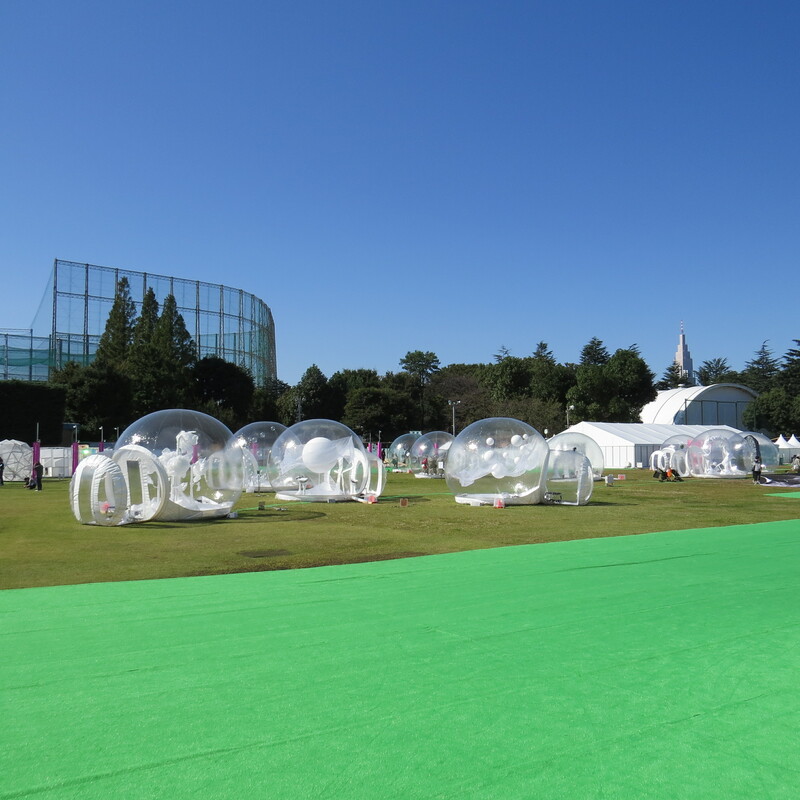 Outside were the Air Tent Exhibition, the Super Container Exhibition, the TDW Art Exhibition and the Tokyo Awards Schools Exhibition plus a stage area, a small food court and various other events spaces. So much to see and so little time! 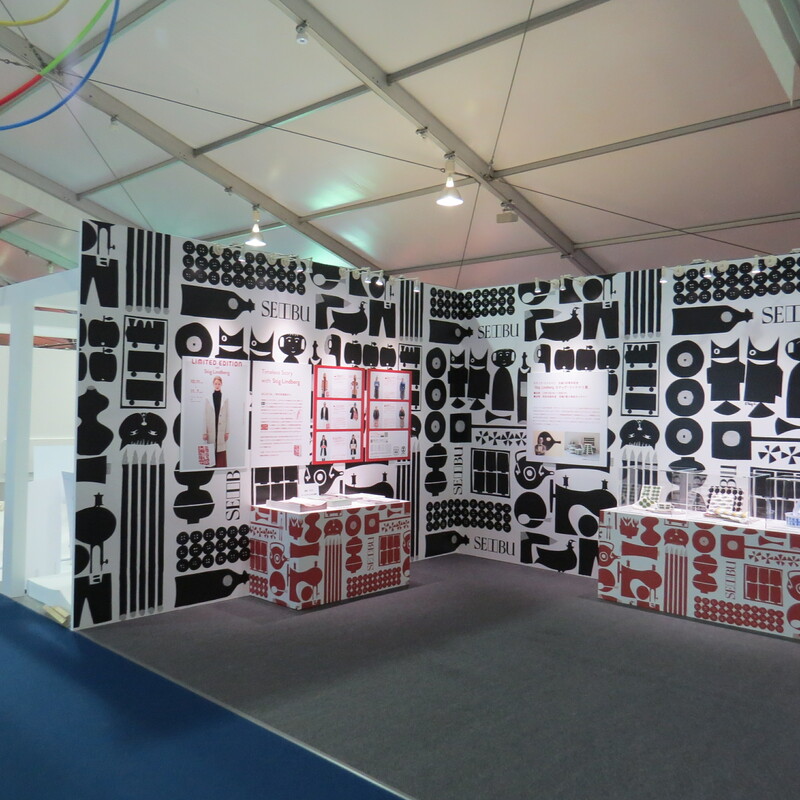 This is what the 100 Creators and Debut sections looked like – traditional and modern arts and crafts, accessories and gadgets. The Creative Life exhibition featured most of the bigger exhibitors (in fact, it seemed to me that this year there were more large companies at TDW than at previous exhibitions) – Swedish interior design company Ikea, for example, had a big exhibit at TDW, as did Panasonic with a VR (virtual reality) try-out area. 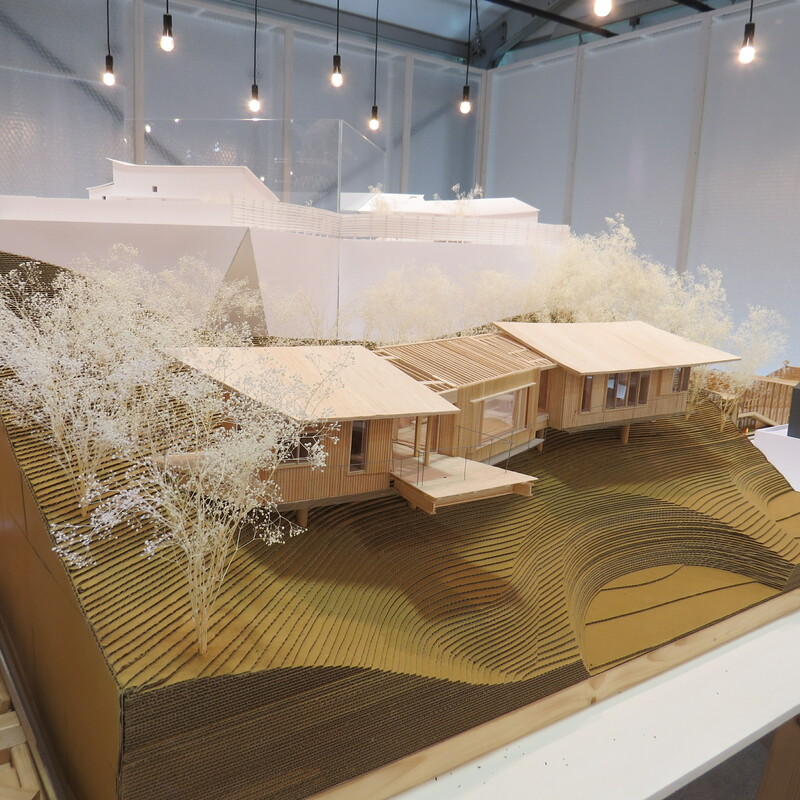 Also present were Sony and Nike, Japanese telecoms company Docomo, housing design company Sekisui House and US design group 3M. Japanese department store group Sogo & Seibu which presented a historical design cooperation with Scandinavian designer Stig Lindberg – 2016 is Lindberg’s centenary and Seibu presented the eye-catching wrapping paper design that Lindberg created for Seibu’s stores in 1959. 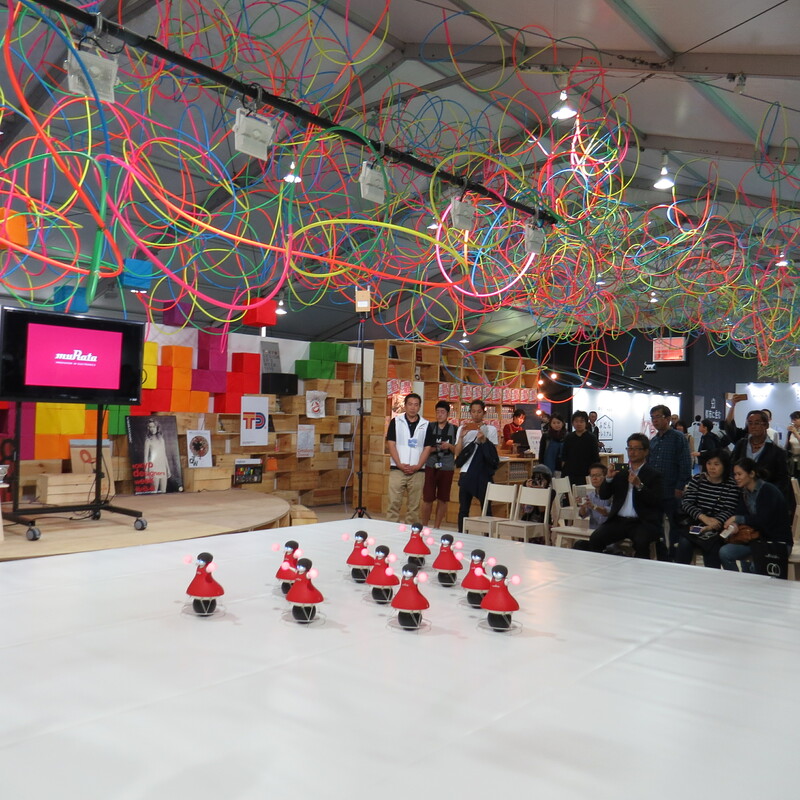 The Japanese subsidiary of 3M presented Kashoku: The Power of Surface, see pic below. 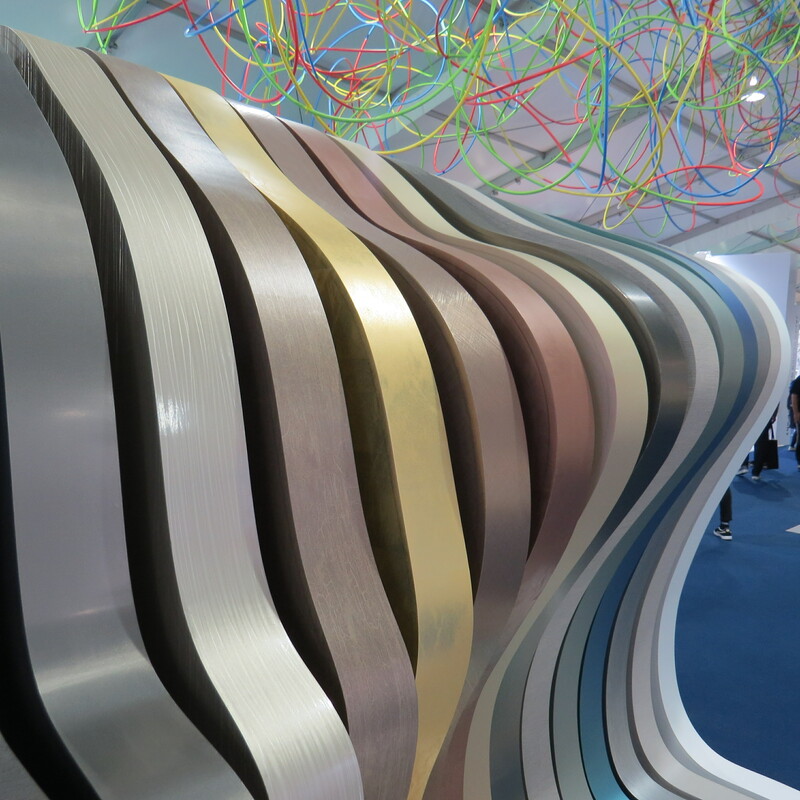 Beautiful and tactile, it really made you want to stroke each layer of colour. 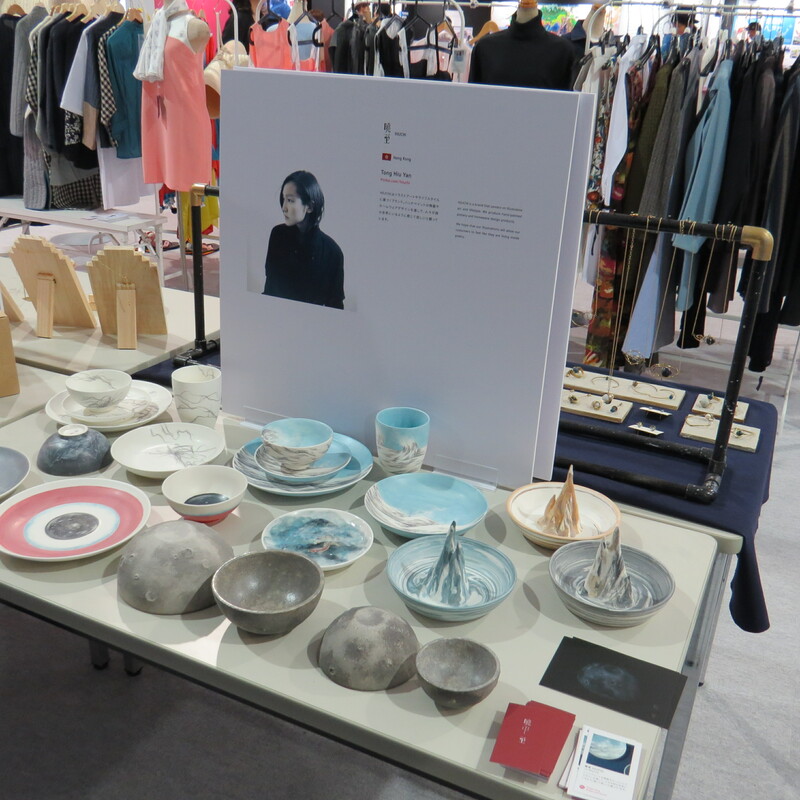 Online design marketplace Pinkoi (the Asian version of Etsy/US or Dawanda/Germany) was there with a group exhibit showcasing some of its international designers from Hong Kong, Thailand, China and Taiwan – clothes, jewellery, accessories, beautiful things. All are unique and made by small design labels and independent artists. Kanazawa Art College presented an intriguing project: how to make the time you spend drying your hair more comfortable and effective. 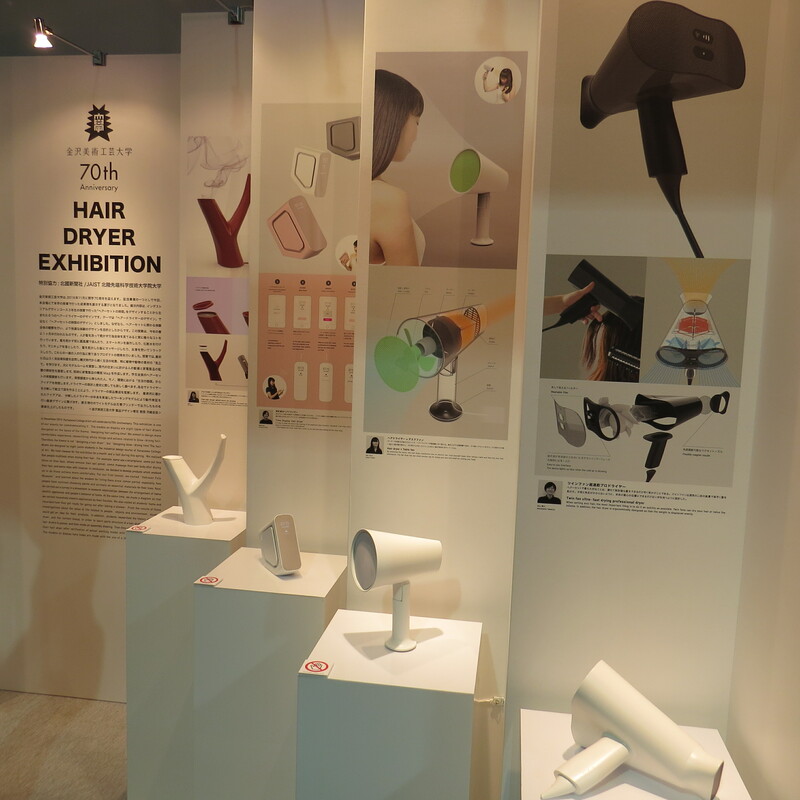 The exhibit showcased eight different hair driers models designed by junior students in the College’s industrial design course. Each drier design offered a suggestion on how to make the most of your drying time – a hair drier could also work as a table-top fan, show you the current time or burn essential oils for instant relaxation. I also liked Petit Amie Skin Care, a boutique cosmetics brand from Taiwan. 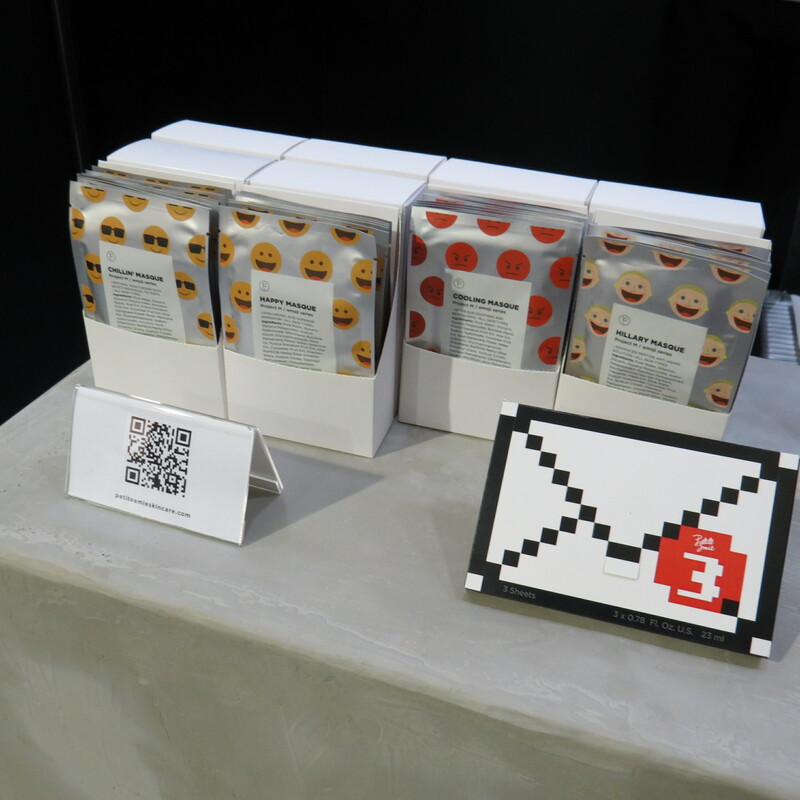 At TDW, Petit Amie presented their beautifully designed cosmetics range, including some cute emoji face masks. Petit Amie was originally launched in 2012 and relaunched this year; the packaging is very stylish indeed and products are available online. 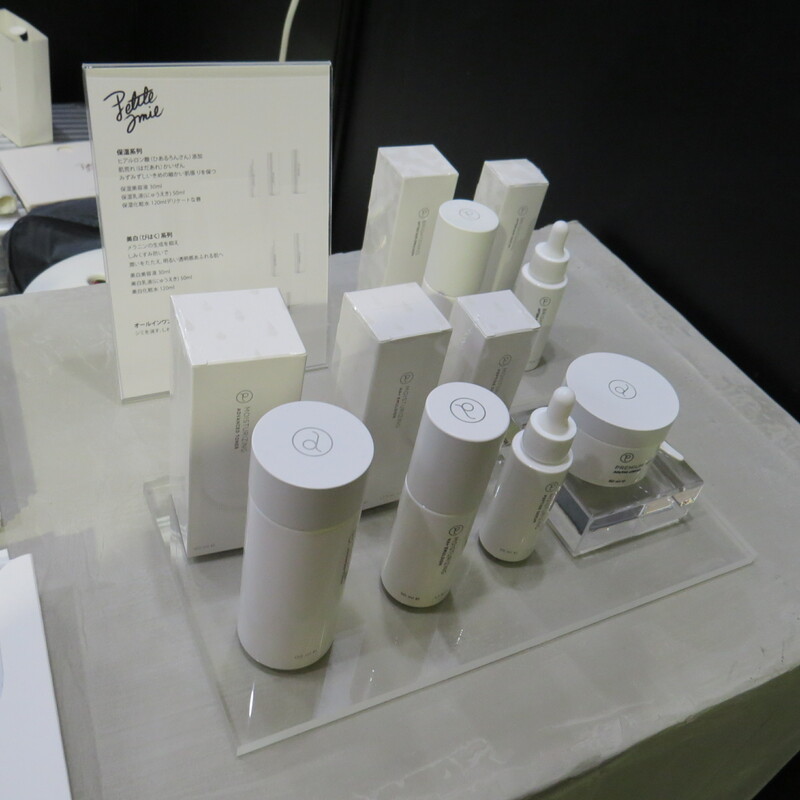 The range is nice and compact: six skin care products including serum, emulsion, toner and cream and three sheet mask ranges: the 3-sku Adventure Masks,the 4-sku Marble Series (beautiful marble-look packaging, check out their website for pics) and the 4-sku Emoji range. 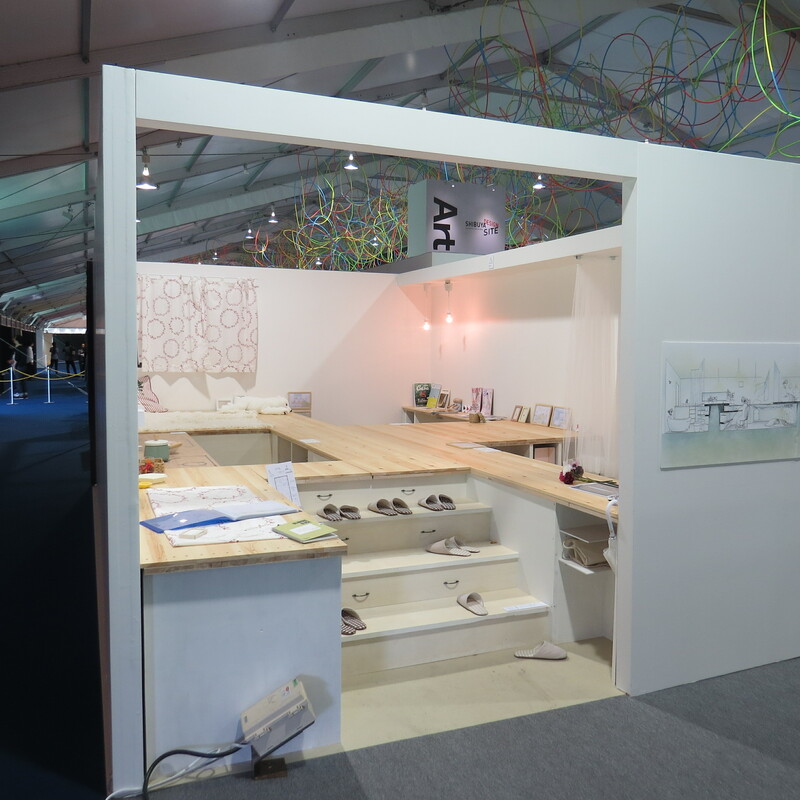 The 7th Able Space Design Competition also took place in the main tent. 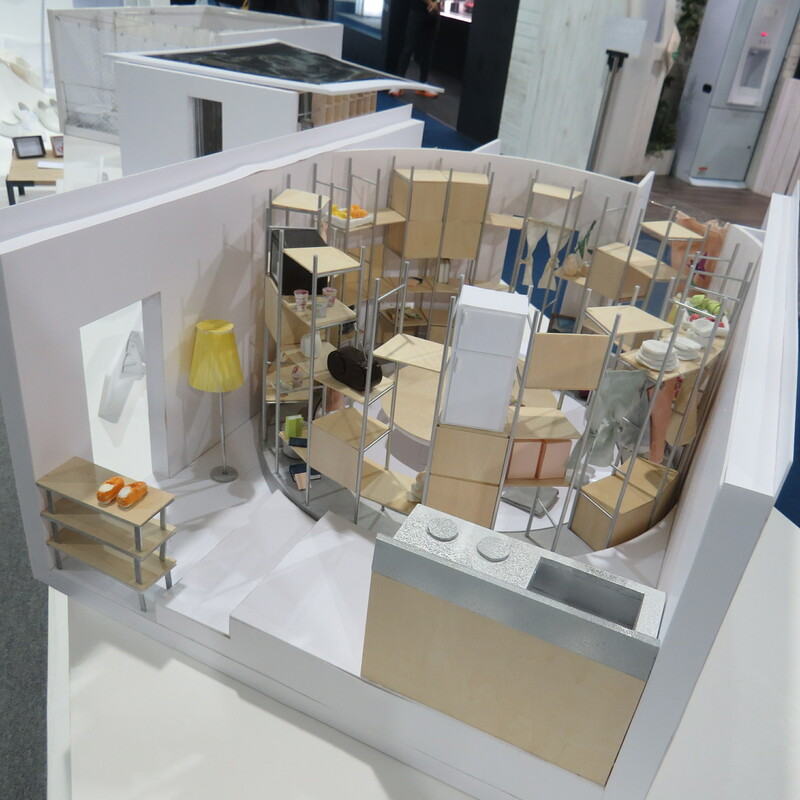 The theme in 2016 was “future room”: how can small living spaces be maximised for optimal comfort? 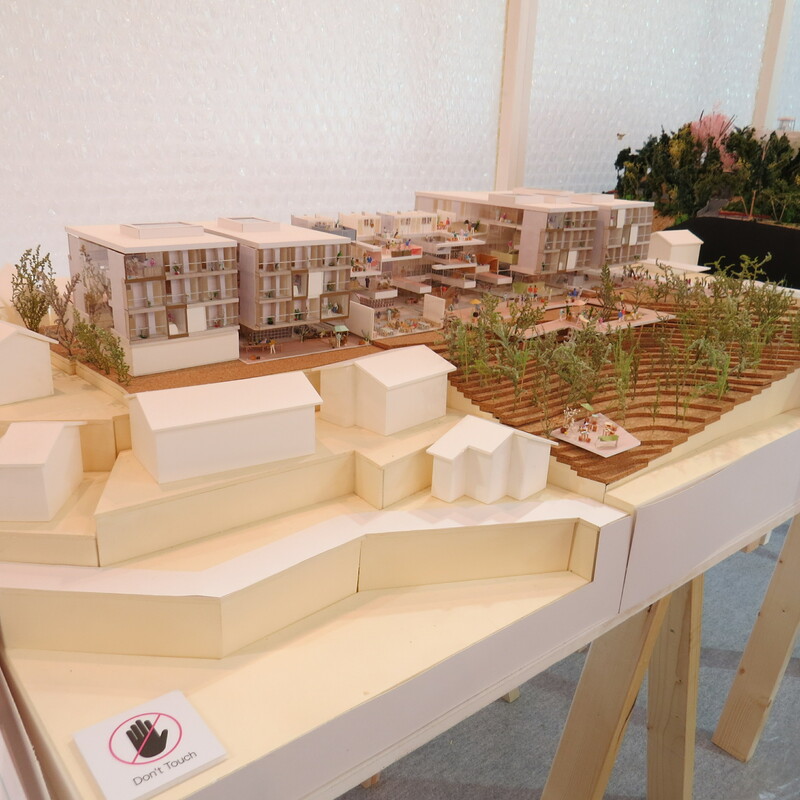 The winning concepts were presented at the show: two full-sized room designs by the finalists while the three runner-ups presented their design idea in small rectangular boxes. Just like last year, Super Robot was my favourite part of TDW! 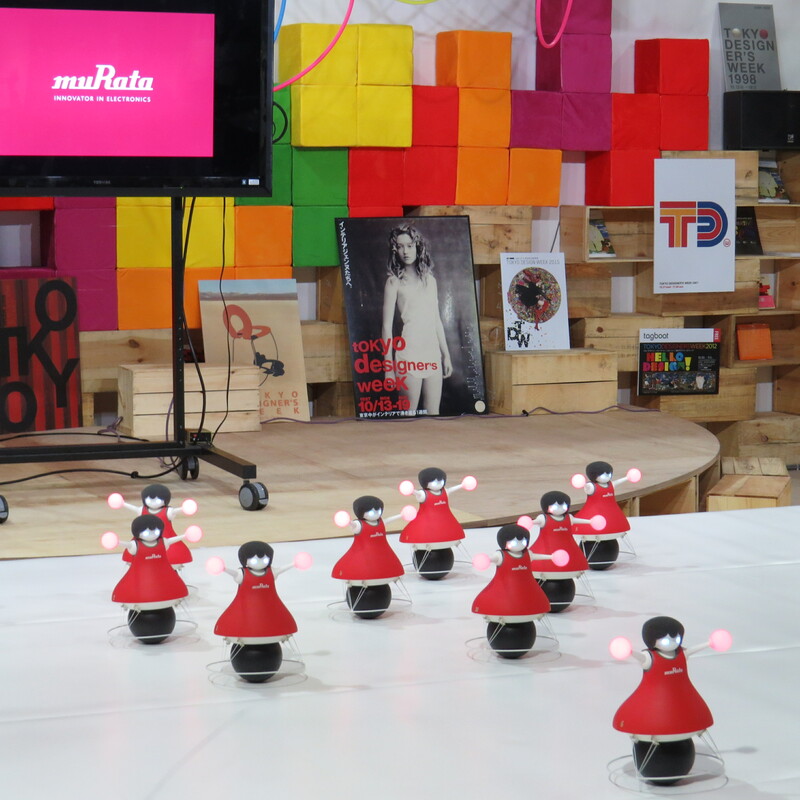 In 2015, the show presented android girl Asuka and this year, my personal highlight were the Miro robot carps from Korean company Airo. 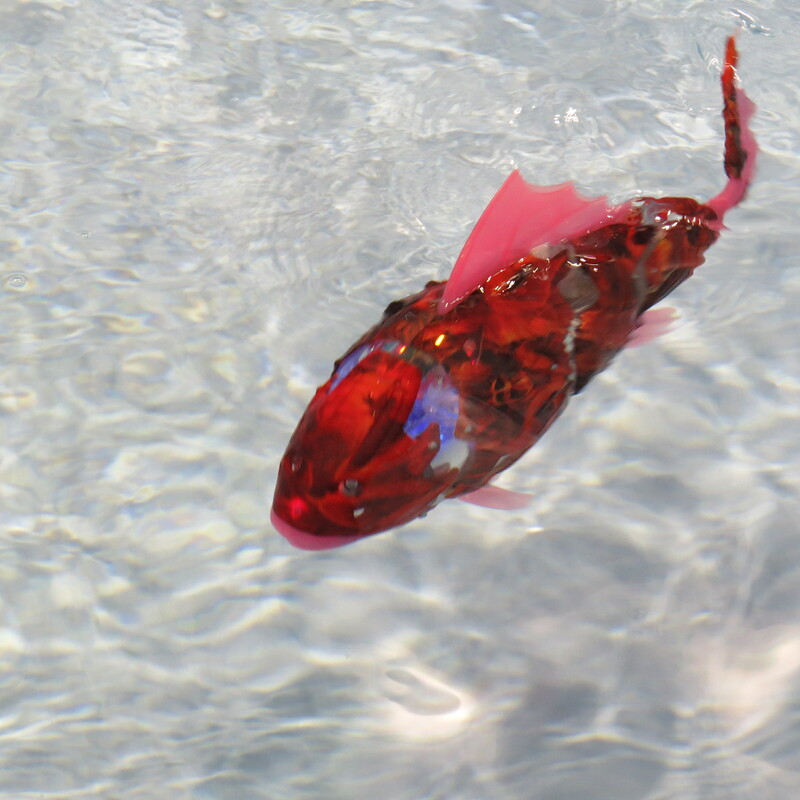 Miro is an ornamental fish robot which swims and moves like normal a normal fish. It is available in two different sizes (1.9 kilo and 2.8 kilo respectively) and various designs and can be operated manually or in automatic mode through Bluetooth on a tablet PC or smartphone. (I wonder if there is a Miro app….?!). 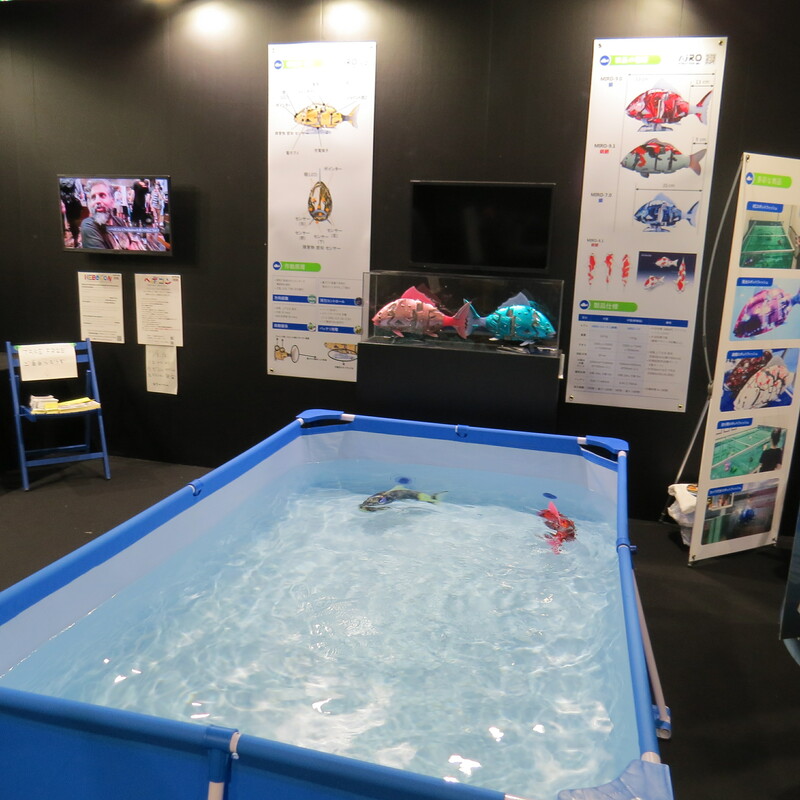 At TDW Airo demonstrated two Miro carp which swam around in a water-filled basin. They really moved exactly like fat koi carp, it was amazing! Glowing eyes, the skeleton lit up bright blue from the inside. 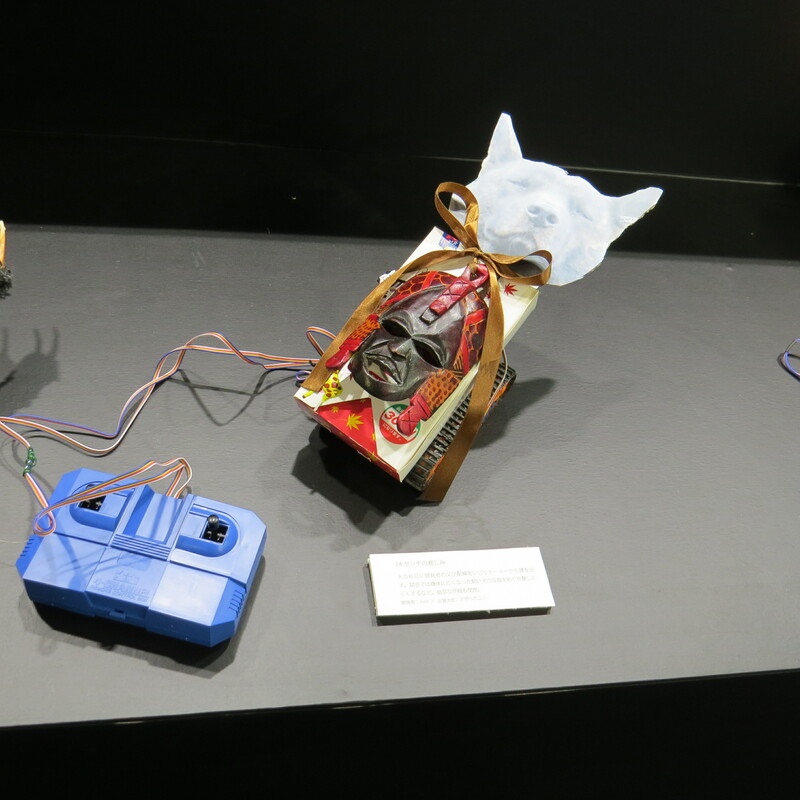 The Miros are equipped with LED sensors in the eyeballs and the nose, plus sensors all around the head of the carp. 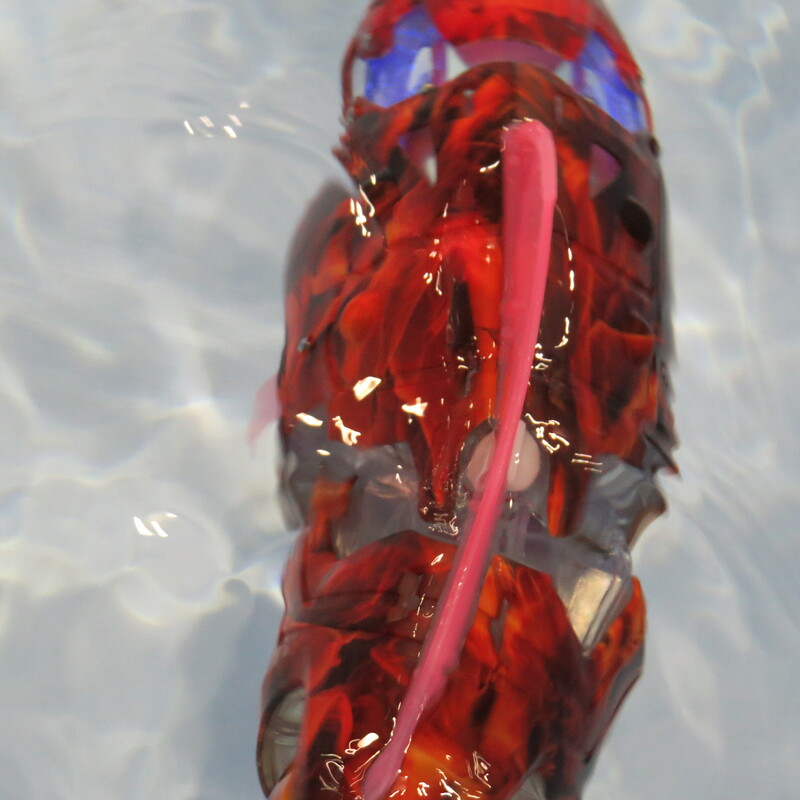 The body has three joints (I think); inside is an electronic air bladder which allows the carp to swim up and down, it can also swim right and left and, as I mentioned, they look amazingly life-like. I want a Miro carp!! 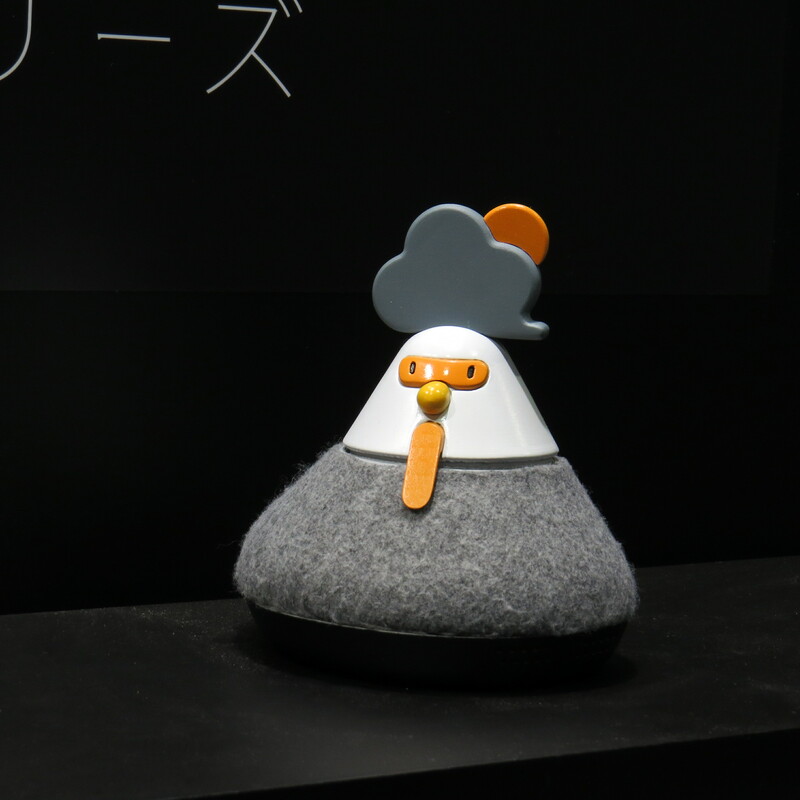 More cute robotics: Cotorees, a range of small bird computers designed by Japanese company Neurowear. 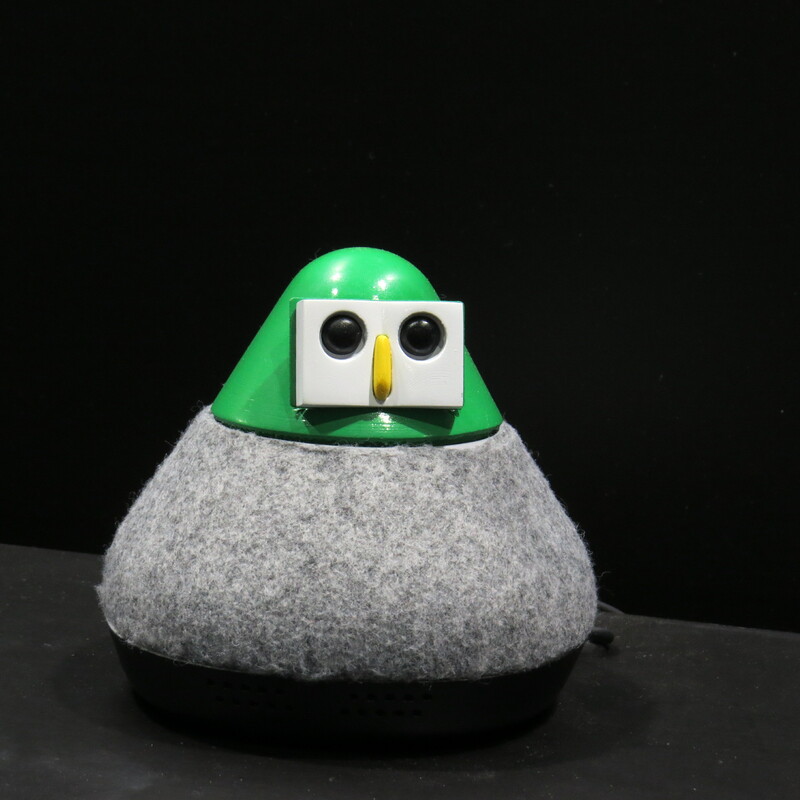 Cotorees are voice-controlled and each Cotoree performs a certain task: Wiki-Bird (with a green head and glasses) looks up things in Wikipedia, Humming-Bird plays your favourite music, Trans-Bird translates for you, Weather-Bird (pic below) tells you the weather forecast and #-Bird checks up on your Twitter feed. 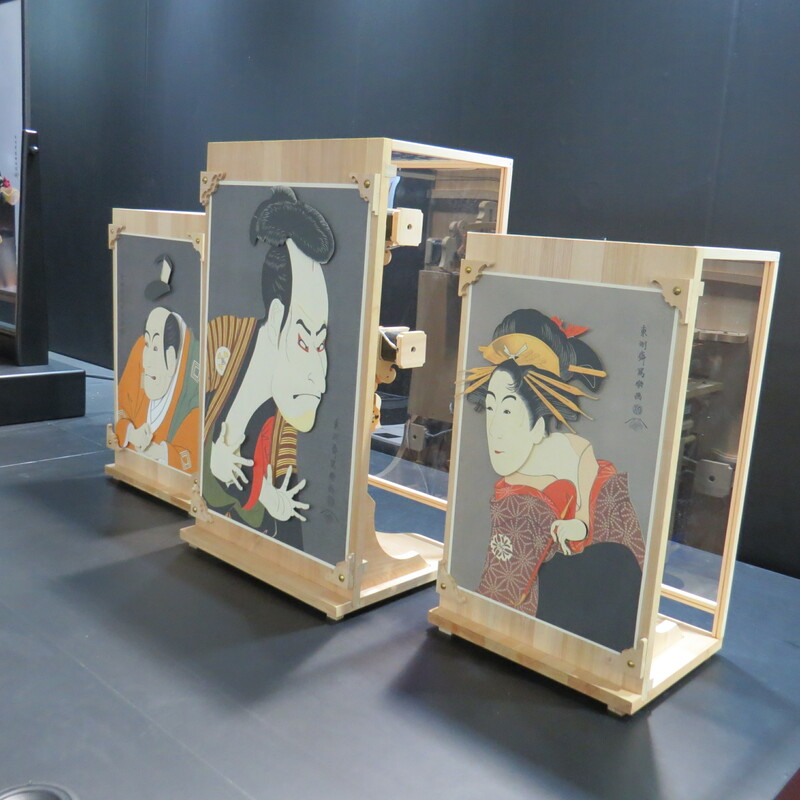 At the Sharaku Inspired Exhibition, artists and designers presented projects that were influenced by the ukiyo-e block prints of Tōshūsai Sharaku, a mysterious ukiyo-e artist of the 18th century. Sharaku became famous for his portraits of Kabuki actors. And there were some very cool Sharaku-style exhibits: installations, art and sculpture, digital installations…most excellent! 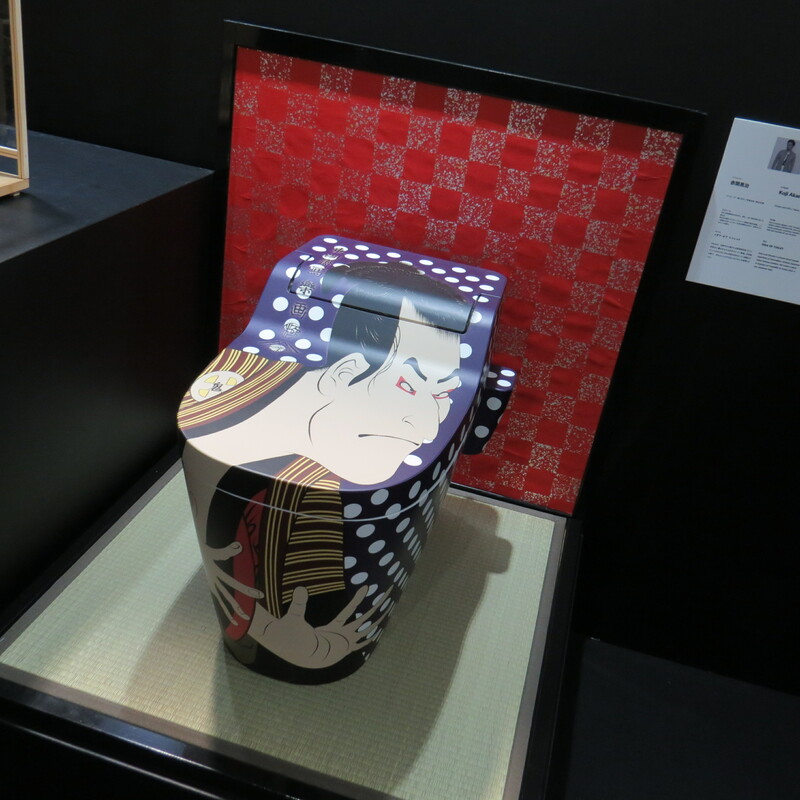 Like the ukiyo-e toilet design (see below) or the Rhythmic Pic installation of artist collective Ugoita. When the music is turned on, the Kabuki actors on the front of the wooden boxes start moving their faces and eyebrows rhythmically. 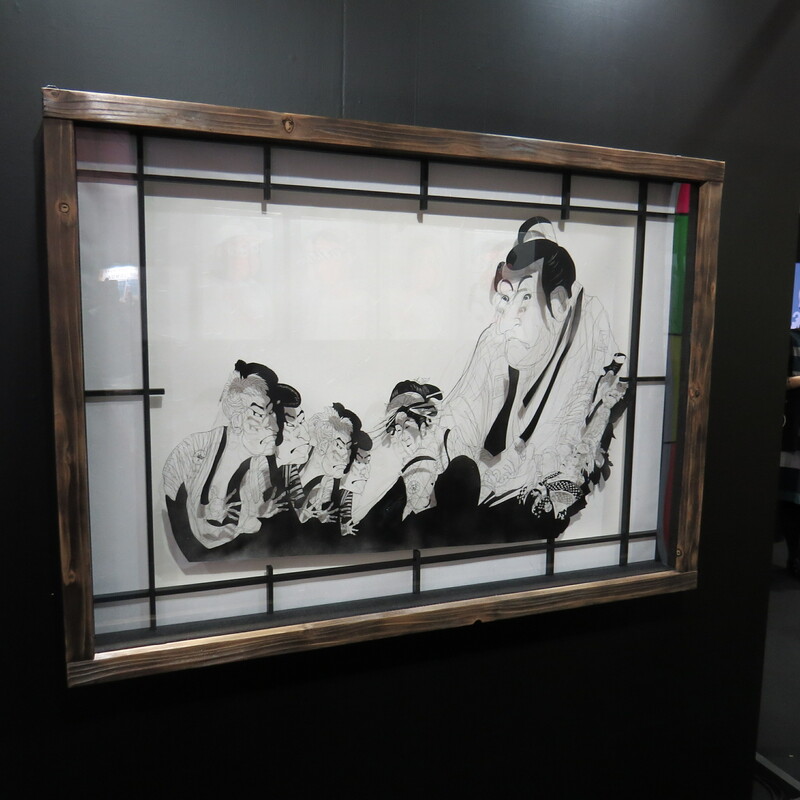 Or Transmission of Dimensions: Sharaku’s 2D and Sisyu’s 3D by calligraphic artist Sisyu. 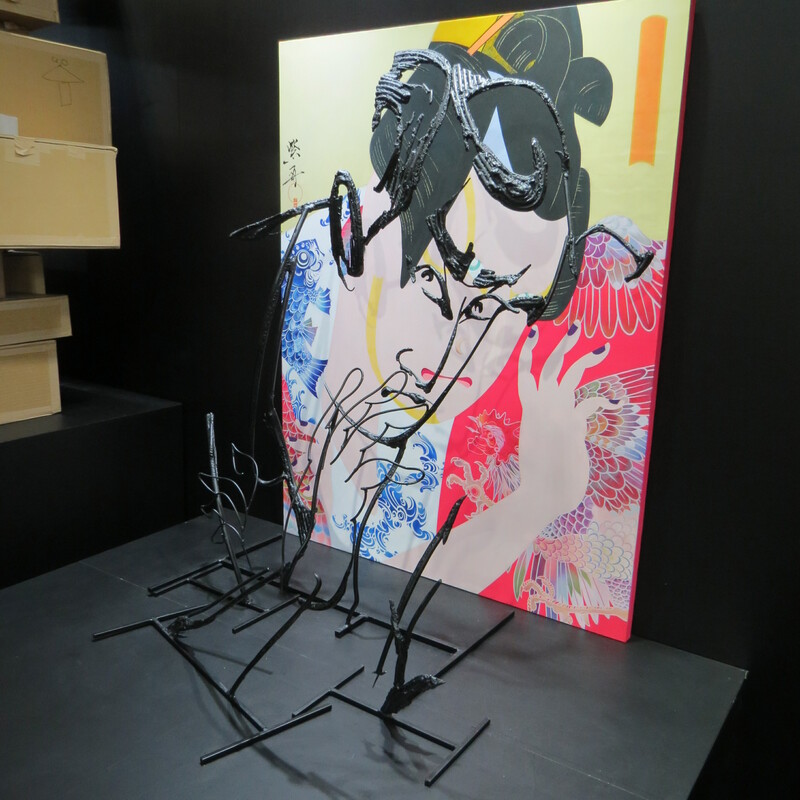 The three-dimensional looking picture of a kabuki actor is actually composed of a painting and a wire sculpture which is set in front of the painting. 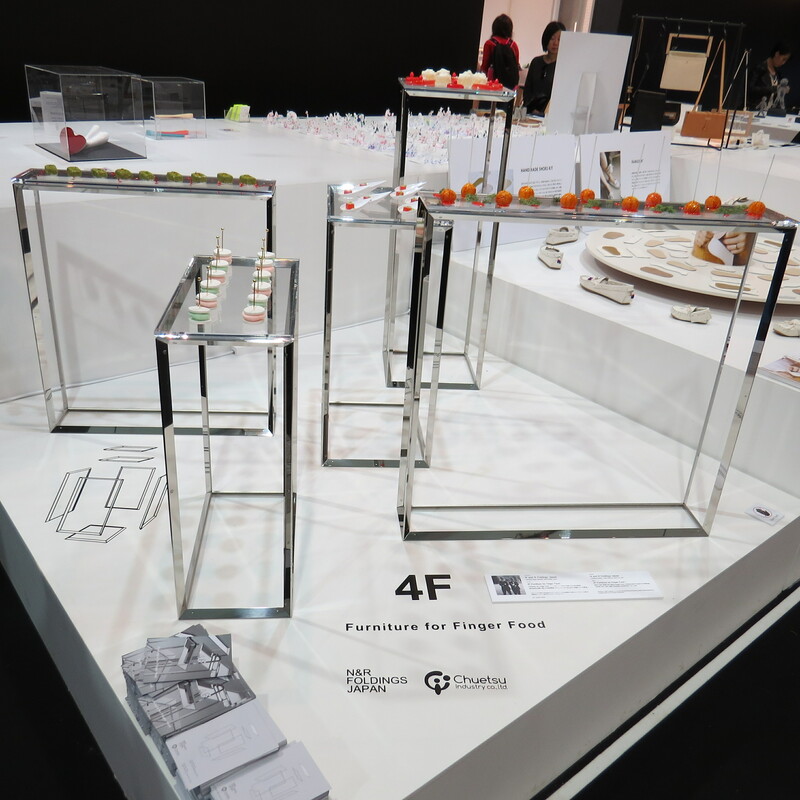 And Furniture for Finger Foods by designer duo N and R Foldings Japan is simply an excellent idea! 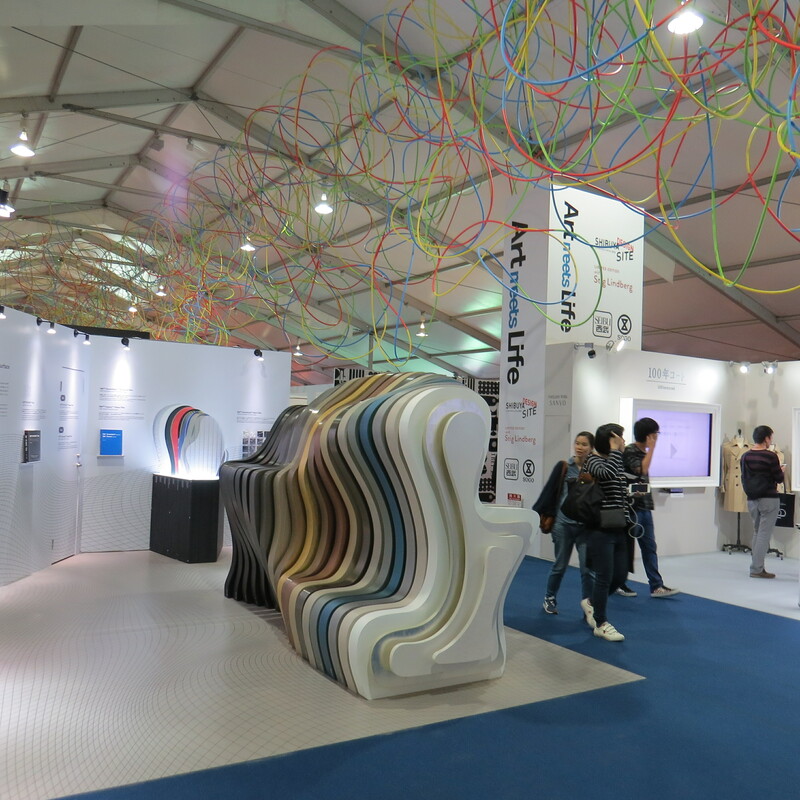 The Tokyo Awards Schools Exhibition showcases the work of Asia’s best-known design universities and art schools – mostly from Japan but I also recognised some of the names from the previous year, like Ewha Women’s University Department of Industrial Design from Seoul. 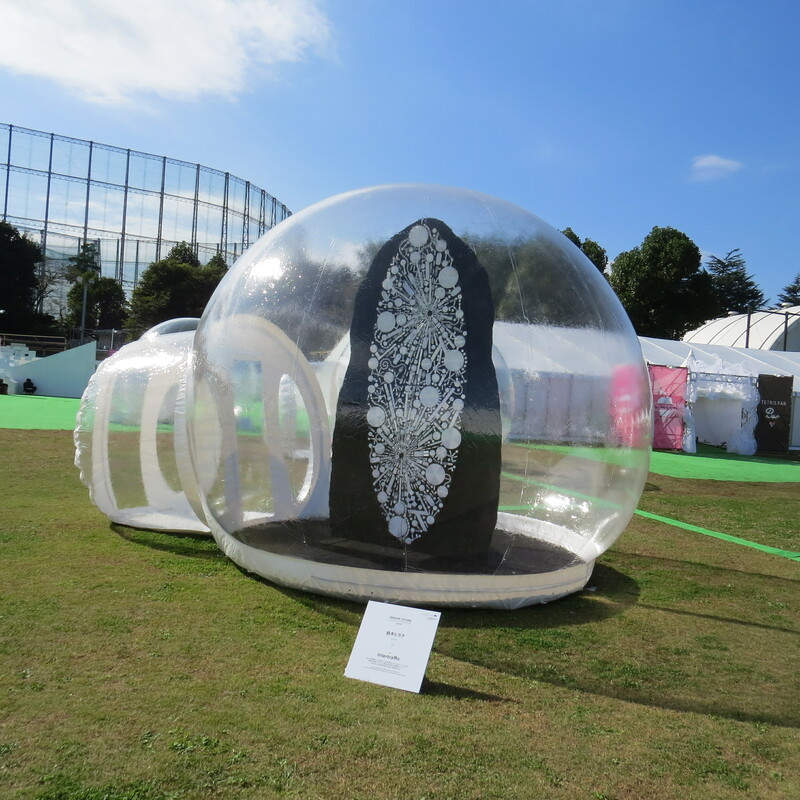 One of my favourite exhibits in the School tent was the Mixer Magic Orchestra from Osaka University of Arts: 24 juice mixers are connected to a music box turntable which looks like a giant vinyl disk. You turn the handle and the juice mixers start to play Twinkle Twinkle Little Star with different mechanical sounds. Mesmerising and also a bit strange but what an idea! 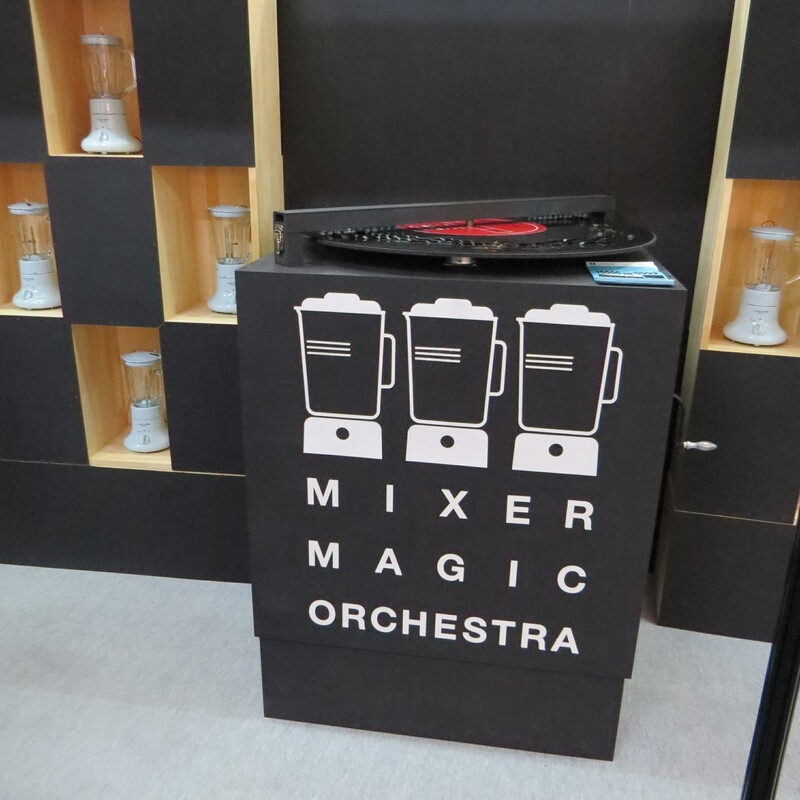 A kitchen mixer orchestra – why not?! Kudos! 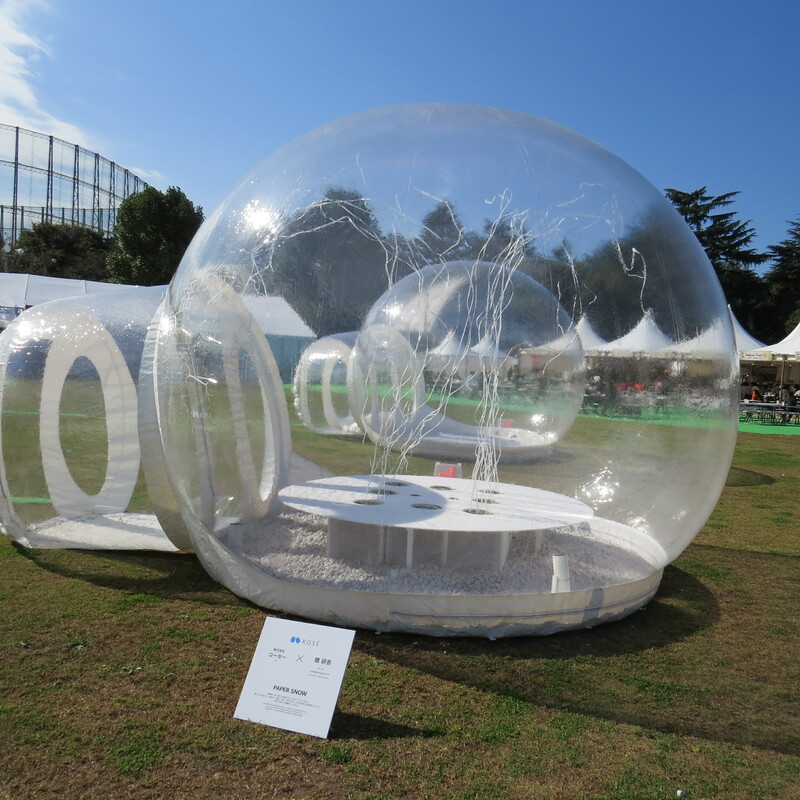 The main focus of the outside area this year was the Air Tent Exhibition: ten transparent balloon bubbles that featured different installations inside them. Contemporary artist Noboru Tsubaki from the Kyoto University of Art and Design created a chain of glowing elements while Yoichiro Kawaguchi, a CG artist from the University of Tokyo, came up with super colourful and crazy looking sculpture installation. 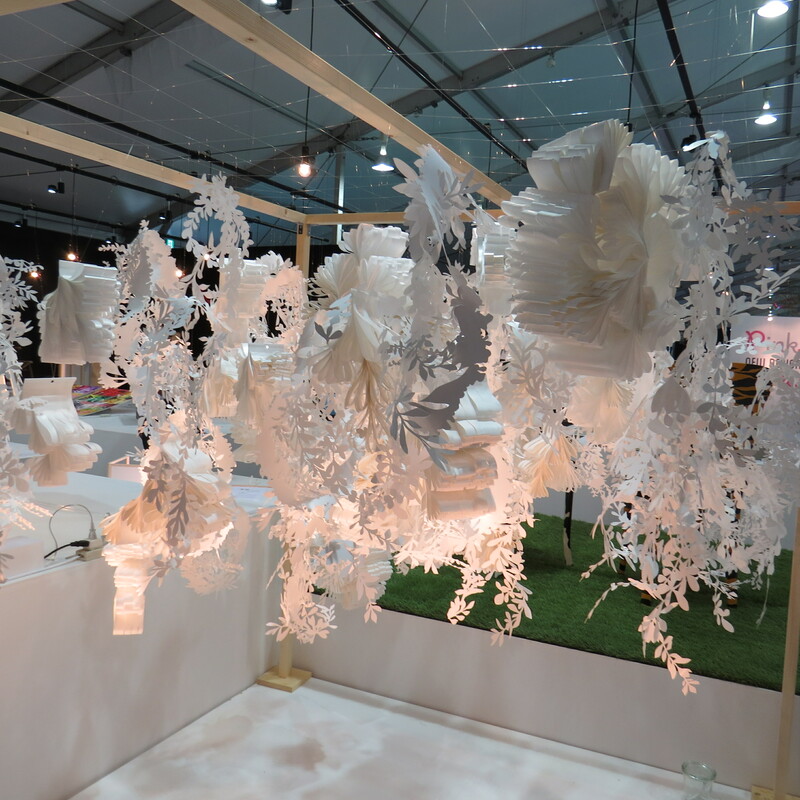 I particularly liked the Paper Snow Air Tent: Japanese architect Kengo Kuma had designed an installation of fluttering white paper streamers in cooperation with beauty company Kosé – the installation was supposed to evoke the white transclucency of Kosé’s ultra famous Sekkisui anti-ageing skin care range. Another Air Tent Ballon by Kuma featured drifts of paper flakes – beautiful. I saw pics of the tents at night and they look stunning when it’s dark outside. Hi Jess. Do you mean one of the exhibits I mentioned in the article – the hair driers, Magic Mixer orchestra, paper sculptures? 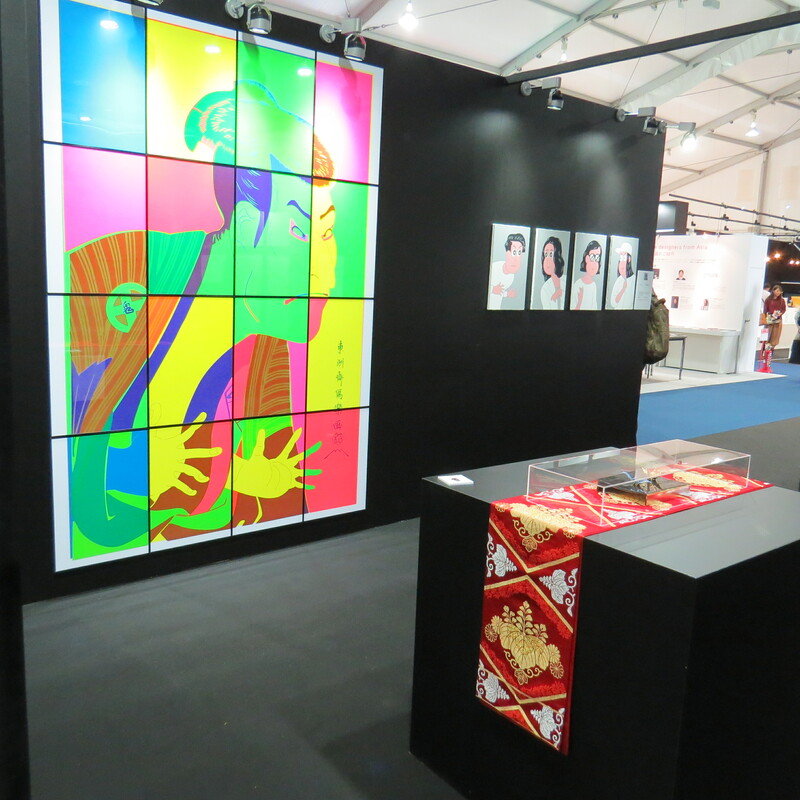 Or a different exhibitor? I did keep the TDW 2016 brochure and exhibition catalague which lists all exhibitors in the different categories. If you give me more details I can look it up for you! I think I found the exhibit. I checked the Schools section in the TDW programme and there was a project called Pulcord from Josai International University (http://www.jiu.ac.jp/englishsite/). The description sounded like what you are looking for – it was the only entry that mentioned heartbeats. I’ve e-mailed you a pic of the entry. Sounds like a really cool installation, by the way, I wish I’d seen it!